Welcome to the Spartak Moscow Football Shirts and Jerseys shop at Soccer Box. 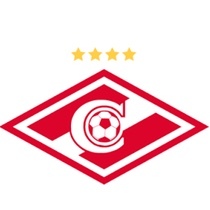 Spartak Moscow is a successful Russian football club. They play in the Russia Premier League and have done for most of their history. At Soccer Box you can show your team support and shop for the latest Spartak Moscow football shirt. We stock the home and away shirts and jerseys in adult sizes. Spartak Moscow is a popular Russian football team, whether you support the team or collect football shirts the Spartak Moscow football shirt is a must have purchase. Spartak Moscow Football Shirts and Jerseys Available for Immediate Dispatch and Fast Worldwide Shipping! Nike manufactures the Spartak Moscow football shirts. Nike has been the team’s shirt and kit manufacturer since 2004. Since the early days of Spartak Moscow football team the home football shirt has been red and white in color. Traditionally the Spartak Moscow football shirt is all red with a single white band around the chest. This football shirt design 1st appeared in the 1930’s and remains in use today. Occasionally a white home football shirt has been used but white is often the color choice for the away football shirt. Unusually for a football team Spartak Moscow has never had its own stadium. Over the years fans wearing the Spartak Moscow football shirts and jerseys have flocked to several different stadiums to show their team support and solidarity. Most recently the Luzhniki Stadium has been their home. Spartak Moscow is about to get its very own stadium for the 1st time in the clubs history. Construction began in 2010, and their first match took place on September 14th 2014. The Otkrytie Arena is the new home of the Spartak Moscow football shirts and jerseys; it will have a capacity of up to 44,000 people. In addition to giving Spartak Moscow its own stadium, the secondary purpose for building the stadium is as a venue for the 2018 World Cup that is due to be staged in Russia. As well as the Spartak Moscow football shirts and jerseys you can of course also get a Russia football shirt at Soccer Box. Whether you are supporting the Russian football league or the national team Soccer Box is the number 1 place to shop. Spartak Moscow is one of the most successful teams in the Russian Premier League. They have won the topflight of Russian football 21 times, entitling them to display 4 stars on their Spartak Moscow football shirts and jerseys. Each team in the Russian league can add a star to their football shirt for every 5 topflight league wins they achieve. Spartak Moscow football shirts and jerseys have also appeared in European football tournaments. The most recent appearance of the Spartak Moscow football shirt was in the 2010 - 2011 UEFA Europe League, the team did well and reached the quarterfinal stages. At Soccer Box we pride ourselves on the selection and availability of our football shirts and merchandise. Why not consider some of the other fantastic team jerseys and accessories that are also available. Add Spartak Moscow football shirts and jerseys to your shopping cart and explore Soccer Box where you will find other fantastic football merchandise!